The Rest Gardens at Carnoustie are a remnant of the days when Carnoustie was popular and busy resort for seaside holidays, beach entertainments, even bathing machines from which Edwardian ladies would descend into the bracing, restorative waters of Carnoustie Bay. These days the gardens are a bit tired and uninteresting, and the Council has suggested they might be prepared to execute a Community Asset Transfer of the Rest Gardens to CCDT, to see if we can come up with designs and funding to see the gardens renovated and restored to something approaching their original glory. The site is located at Carnoustie seafront on the north side of Links Parade, west of the footbridge across the railway line and bounded by Ferrier Street to the west. The history of the site is unclear, but in recent decades it has been a lightly used passive space maintained by Angus Council to a reasonable standard. Any intended historic function has long since passed and is now considered to be a site of opportunity to meet some of the core objectives of the charrette. A potential second phase for the project is the grassed area adjacent to the memorial, to the south of Links Parade. Finding a use for the gardens, something to encourage people to go there, would be important if we are to persuade funders that we can make the Rest Gardens something which contributes to the environs and well-being of Carnoustie. We’ll investigate funding for a feasibility study before we agree to take on the ownership and future maintenance of this area. 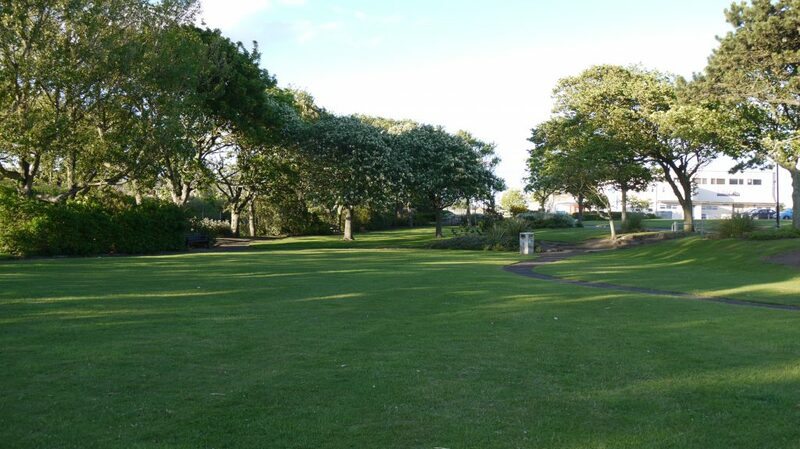 Perhaps Carnoustie could have a variation on the format of the Friends of Barnhill Rock Gardens which has been so successful in restoring that feature of Broughty Ferry’s Esplanade? Tell us what you think.